BETA e.V. 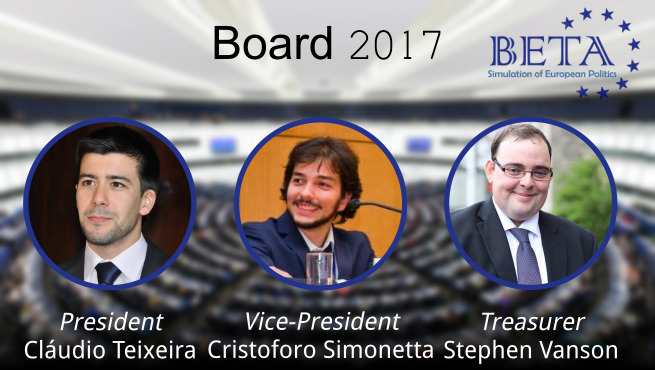 is proud to announce its new Management Board for the year 2017/2018: Cláudio Teixeira (President), Cristoforo Simonetta (Vice President) and Stephen Vanson (Treasurer). We wish them all the best for this year’s work and many success in our association’s continuous mission of Bringing Europeans Together. Find out more about the board and its activities in our forum!